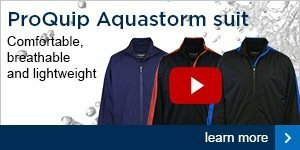 It's been a wet and cold February but hopefully Spring is now just around the corner, if you're somewhat of a fair weather golfer you should be thinking about getting your clubs out now so that you are ready for the start of the golf season. Our traditional curtain raiser for the start of the season at Hartford Golf Club is the new Captain's Drive in which is taking place in just over a month's time on 4th April and the Masters tournament at Augusta is now just 35 days away so the start of a new season is not far off now at all! Make sure that you try your best to get a bit of practice in before April and if you can get out on to the golf course for a few games even better so that when we enter the season you are fully prepared. Also make sure that you've got your equipment in good shape and check things like have your shoes have got decent cleats in. 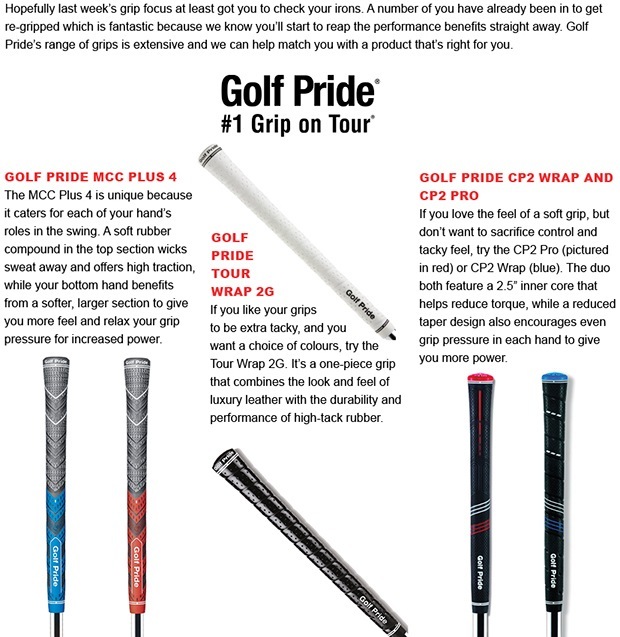 Are the grips on your clubs in good condition or do they need replacing? If you need help with any of this you know where we are! The seniors had to contend with a cold strong breeze blowing across the golf course on Tuesday, however the difficult conditions did nothing to deter 27 brave seniors from taking to the course. The winner was Paul Frost who scored a fantastic total of 42 points including a birdie three on the sixth hole, Paul's handicap now drops to 27 as a result. Alan Phillips also played well and came second with 41 points and the ever consistent Ken Powell came third with 39 points. Next week the seniors have a nine hole Stableford with the first tee time being 9.16am. We are very nearly ready to put an order in for some Glenmuir crested ladies sweaters, if you are a lady golfer interested in purchasing an official club sweater then make sure you call in to the shop to have a look at and try on the sample sweaters we have available. The order will be going in for them in the next week so don't delay in letting me or Lady Captain Jill know if you want one and what your size and preferred colour would be. I'm delighted to say that we can offer members a very good deal on these crested merino sweaters, they are advertised on the Glenmuir website at £69.99 but we will be making them available to members at the special discounted price of just £49.99! It's also been good to hear many positive comments from the ladies about the good quality of the Glenmuir clothing. I know that most ladies have now given us your choices but if you can't make it in to pre-order a sweater don't worry too much as we will order some extra stock and they should all be arriving in the shop by the middle of March. We've had another busy week in terms of club fittings with full Callaway and PING fitting days and it's been great to see the improvements golfers have been able to make with correctly fitted new modern equipment. Below is a photograph of nine handicapper Wayne Hough with John from PING trying out the G30 fairway wood, and it's fair to say he was hitting it long and straight! Also John showed me his G30 driver that has been 'pimped up' with some blue, white and yellow colours, this is a custom option when you order a new PING G30 driver for an extra £20 you can have it painted with any of the PING spot colours, if you're interested in this just click here to let me know. Our pro, Adrian Hill, recently did a fitting for one of his pupil's in which he achieved what can almost be described as 'the perfect shot', it's not the best photograph but it shows the Trackman figures by a golfer who hit the new TaylorMade Aero Burner driver. Using the Trackman system we are able to analyse each shot, the club head speed of the golfer is shown in the left column and without getting overly technical, in simple terms the ideal launch conditions for this speed are roughly 17 degrees with 1700 rpm spin - this gives the perfect 'rainbow shape' of flight that can optimise the players distance. If this is achieved it equates to a high 'smash factor' which is shown in the middle column. The smash factor is a measure of how efficiently the club works for the golfer and a figure of 1.4 with the driver is usually very good. However in this fitting session the club worked so well it gave a smash factor of 1.51 which is basically perfect! The TaylorMade driver suited the golfer so well that at around 220 yards he was getting the absolute most distance he could get out of that club based on his own swing speed, the only way figures like this can be measured is to use a sophisticated launch monitor like the Trackman that we have in our fitting bay. To see if you can achieve perfect figures like this please book a fitting session with us now, for £25 you can make sure the clubs are right for you and if you purchase any new equipment in the shop we will knock the fitting fee off the price! 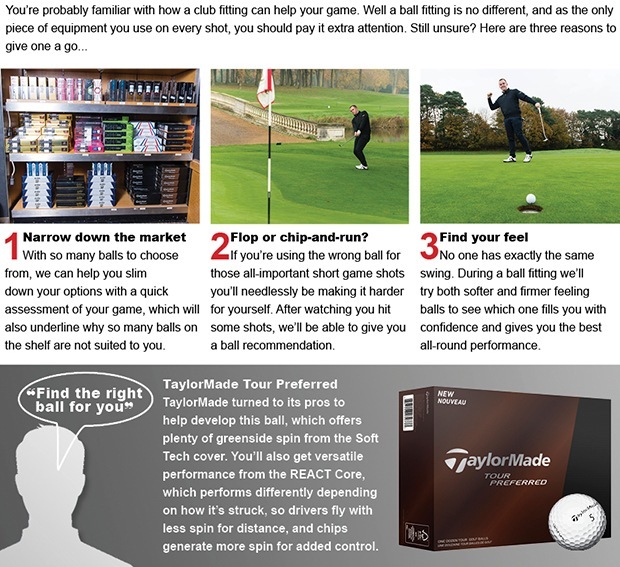 Click here to book a fitting session. One of our most popular arrivals this year has proven to be a new driver from Callaway - the XR driver. We had 6 delivered this time last week and we’ve now only got 2 left! Many of you will have tried or even use the X Hot or X2 Hot drivers made by Callaway over the last two years - they were two great models that really put Callaway back on the map and they performed fantastically well. Callaway enjoyed many good reviews and awards in leading golf publications on these clubs, and now Callaway have released a new range which they feel is even better. The XR is the latest in the line up that could be the best driver they have made yet. The technology behind the new XR driver is basically built around what Callaway call ‘R Moto’ technology – this is a new way that they have found to manufacture the face of the golf club that will increase ball speed across the face – they’ve reduced weight in the face by 10% to make it thinner and more responsive. This new technology leads to more efficient energy transfer all over the face, the centre of gravity is 17% lower - where most golfers need it, and this delivers higher MOI. Not only this but Callaway have reduced the overall weight of the club to around 300 grams and they have introduced a ‘speed step crown’, meaning that the head is shaped more aerodynamically allowing you to find a bit more club head speed and, as result of all of this, more distance! We have used the XR demo drivers in quite a few fittings already and I can assure you that this technology does work and the feedback has been very positive. We had one golfer who picked up 20 yards on his drives and another who hit the XR further than his X2 Hot by about 5 yards, but his dispersion improved considerably - he was hitting a lot more accurate drives whilst not sacrificing distance. To book your Callaway fitting contact me here. I wanted to remind you again that we have introduced a points membership where you can join for as little as £200 . It's a great option for those of you that would like to play more golf this year and who would like to try a golf membership and get plenty of good value golf in without having to spend a fortune. For the price of £200 you will receive a 200 points membership card to use against rounds of golf here at Hartford and at our other course Pryors Hayes. All your rounds of golf are at a reduced price and it works out that you can play 18 holes for as little as £8 . If you wish to establish or maintain an official handicap and play in club competitions you must also join the appropriate golfing union, the additional union fees for this are £12.25 for men and £14.75 for women. Don't forget that this is not the only great membership deal we have on at the moment. You can join now as a full member and get 14 months for the price of 12, with 7 day membership costing £640 . This means that you can play as much golf as you like any day of the week for around £10 a week all the way until the end of March 2016. There is also the option to take up dual membership with our sister club Pryors Hayes if you fancy playing a couple of different courses the fee is just £775 for the 2 courses! Our PGA Professional Adam Powell is carrying out a prize draw with a great prize. 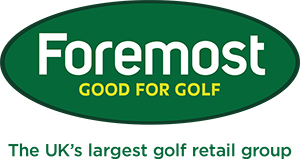 Three lucky names pulled out of the hat will win entry to join Adam in a team of four for a Pro-Am tournament to be played on three consecutive days at Royal Birkdale, West Lancs and Formby on 28th-30th April. The entry fee for this 3 day competition is normally £500 per person, but Adam is selling 150 prize draw tickets at just £10 each for a chance to win entry. If you don't get picked Adam will also pull further names out of the hat as a consolation to join him for a couple of other one day Pro-Ams later in the year. To buy your ticket just see Adam in the shop, but please make sure that you can be available to play on the above dates and that you have a current handicap. We have a fitting day coming up with TaylorMade on Thursday 5th March from 2-6pm, as usual there will be slots to book with a FREE fitting available with Jamie Guy on any of the exciting new TaylorMade range this year, including the new ultra forgiving three slot RSi irons, R15 adjustable drivers and the ultra-light and mega long Aero Burner range. This event will get booked up so contact me here to book an appointment. There will be special 'one-off' offers available on the night so they are well worth attending! !